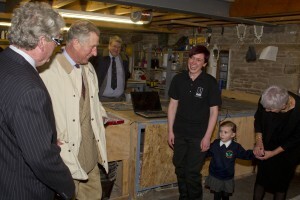 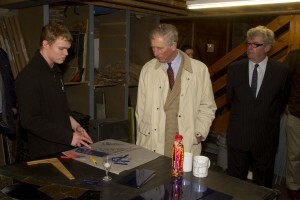 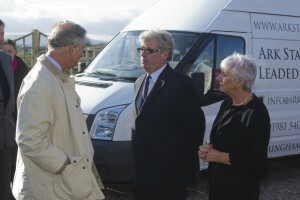 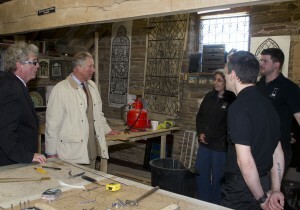 Taking a look back from when Ark Stained Glass received a visit from Prince Charles in 2012. 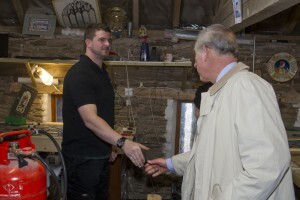 As part of his tour around Herefordshire, our Hereford studio was chosen as one of the places of interest for Prince Charles. 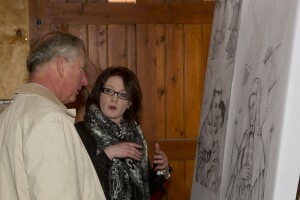 Arriving in the afternoon, Prince Charles took great interest in the work we were doing and had many questions for everyone there. 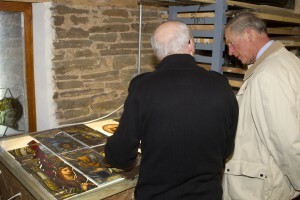 Tony, studio manager, took him round the studio showing him how we produce a stained glass window from meeting the designer, to cutting the glass, painting the glass then leading and cementing. 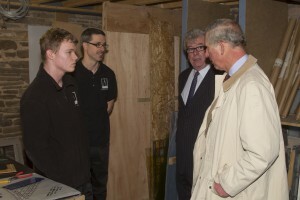 He had a lot to ask about the restoration process we were undertaking at Manchester University and how our young apprentice was getting on, and took time to test his knowledge on what he’d learnt with us.